We believe in the transformative quality of art making. We believe that students must look deeply into who they are as humans before becoming therapists. We believe that students must have an openness to the transformation within their own art. We are a welcoming program, embracing the liveliness and richness of inclusivity and diversity. We welcome the many ways that diverse voices will transform the field of art therapy. We appreciate and encourage the questions about the field that are brought to awareness by diverse voices. 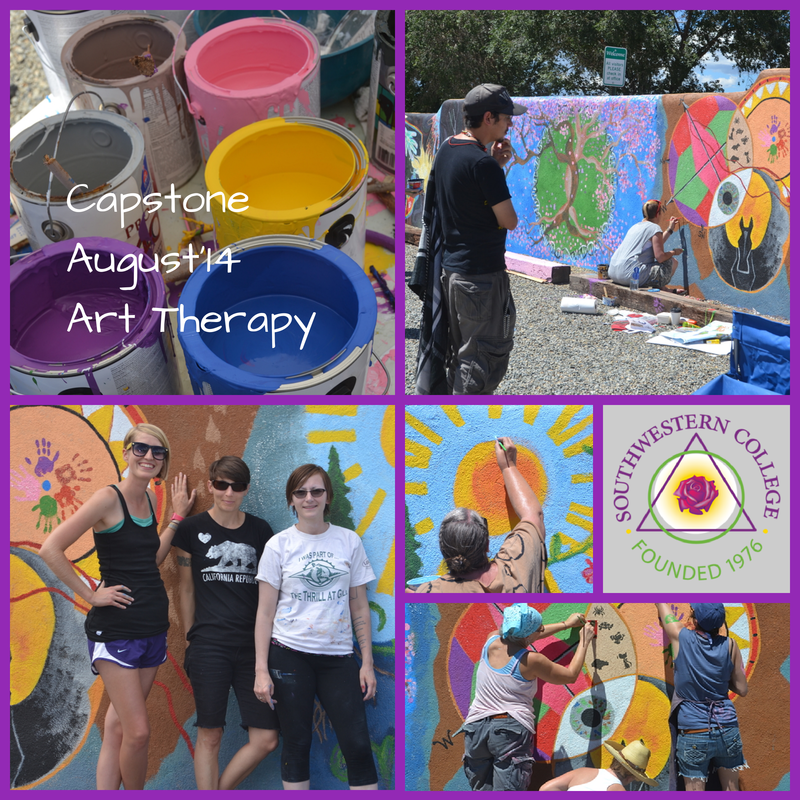 We understand that we are teaching art therapy in a specific geographic and cultural location. We believe in strength-based client work. We believe that art is honest and contains strengths and can show resilience. We believe that assessment can be used to identify strengths, not only pathology. We have a theoretical base and it is art therapy. On top of that foundation students may pursue additional theoretical approaches. When one graduates from this program one’s identity as an art therapist is inherent, present no matter what one’s job title or license states.